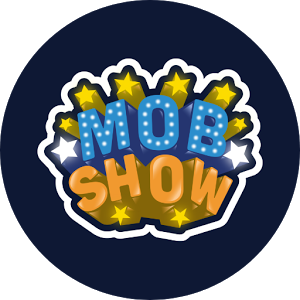 Hello Dealsnloot Readers,Mob Show is a LIVE quiz game show where you play against others for real cash prizes. It is free to signup and free to play with prize money of INR 1500 to 10000 up for grabs every day at 1 PM, 4 PM and 9 PM IST. Answer the 10 questions right and share or take home the prize. Sign up with a referral code to get a free lifeline when you sign up and 10 INR when you play your first full game.All Money Can Redeemed To Paytm Cash in 5 Days & Mainly Best Part Of App Is You Can Play Live Quiz In App & Win Big Amount Of Paytm Cash Just By Answering 10 Question. 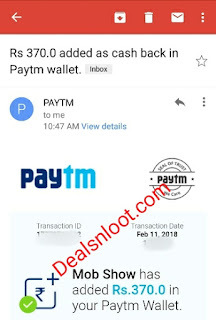 You Will Also Get Lifelines By Inviting Friends.So Hurry Grab This Paytm Cash Loot. Update - Referral Reward Will Be Added Daily In Your Account In Midnight.Live Quiz Started Daily At 1 Pm , 4 Pm & 9 Pm Or You Can See In App. 2. Open App & Allow It Permissions. 3. Now Enter Your Name & Mobile Number. 7. Play Quiz Today at 4 Pm & You Will Get ₹ 10 Paytm Cash As Sign Up Reward. 1. Copy Your Refer Code & Start Sharing With Friends. 2. When Friend Sign Up & Play 1 Quiz You Will Be Eligible To Win Get ₹ 10. 3. Referal Rewards Will Be Added At Midnight. 4. You Will Also Get 1 Lifeline While Refering Friends. 5. All Money Can Be Transferred To Paytm Cash Within 5 Days. 1. 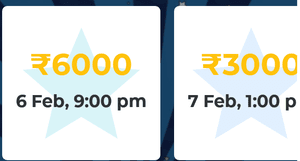 You Can Check Timings Of Quiz In App Banner. 4. Now A Video Will Be Started & A Live Person Will Be Visible To You In Video. 6. Choose Correct Option As Answer For Question He Asked. 7. You Have 10 Seconds To Answer That Question. 9. In Same Way You Will Be Asked 10 Questions. 11. If You Win , Within 1 Hr You Will See Balance In Your App. 12. 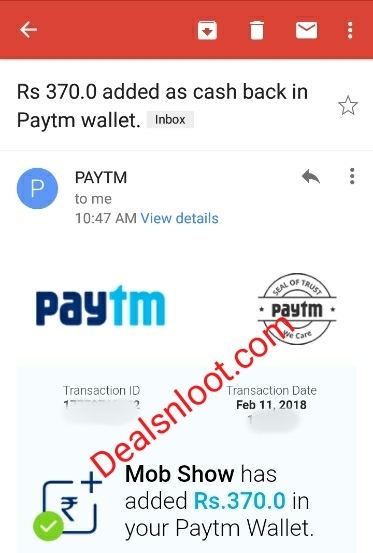 Same Balance Transferred To Paytm Wallet Within 5 Days. 1) Users are requested to make sure their registered mobile number on the app is linked to a Paytm account, otherwise, the transfer cannot be expected to take place. 2) Use only one account in a device. 3) You use only one lifeline in a quiz. 4) you can’t change the answer after select. 5) You play only when we start the quiz. 7) If you miss any question then it counted as an incorrect answer.